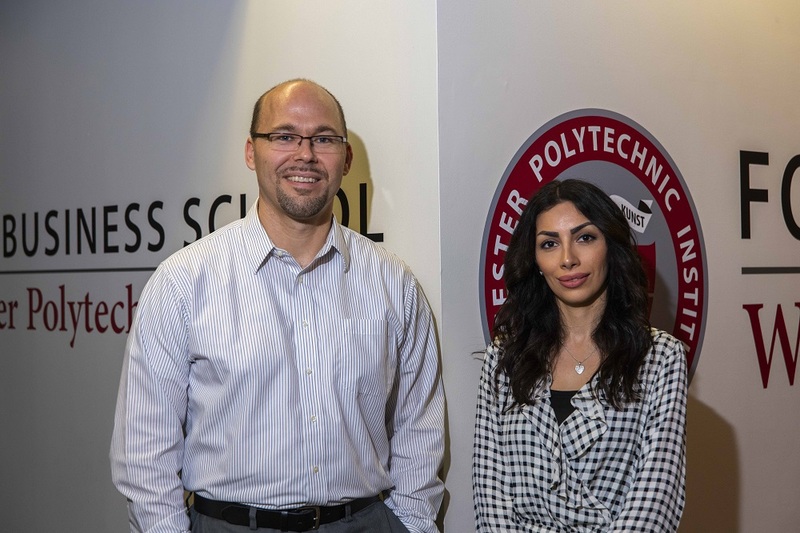 Andrew C. Trapp, a professor at the Foisie Business School at Worcester Polytechnic Institute (WPI), has received a $320,000 National Science Foundation (NSF) grant to develop a computational tool to help humanitarian aid organizations significantly improve refugees’ chances of successfully resettling and integrating into a new country. Built upon ongoing work with an international team of computer scientists and economists, the tool integrates machine learning and optimization algorithms, along with complex computation of data, to match refugees to communities where they will find appropriate resources, including employment opportunities. Each year, tens of thousands of refugees—many fleeing war, violence, and persecution—are resettled in dozens of host countries around the world. In the United States, the Department of State oversees nine non-profit agencies that manage the country’s resettlement programs, placing incoming refugees in communities across the nation. While there is growing evidence that the initial placement of refugee families profoundly aﬀects their lifetime outcomes, there have been few attempts to use technology to optimize resettlement destinations. The NSF-funded work will further develop a software program Trapp and colleagues created in an effort to improve resettlement outcomes. Called Annie MOORE (Matching Outcome Optimization for Refugee Empowerment), after Anna Moore, an Irish woman who was the first recorded immigrant processed at the Ellis Island federal immigration station in the late 1800s, the software was developed by Trapp, Alexander Teytelboym of the University of Oxford, and Tommy Andersson and Alessandro Martinello of Lund University in Sweden. Trapp’s ongoing work involves new advances in methodology to solve the difficult types of optimization problems represented by the refugee-location matching process, which, when solved at scales much larger than present—say, many thousands of refugees and hundreds of locations—may pose significant computational challenges. “If the specific problem structures are better understood, then we can develop improved computational methods for solving these problems,” he said. Trapp and his team are investigating innovations for solving these, and a number of related, problems by studying and exploiting the underlying mathematical structure of the matching problem. Based on the algorithms and data gleaned from prior placements, Annie predicts the likelihood of employment for each working-age refugee. These predictions are then used to guide the search for the best way to match refugee families to host communities for resettlement workers. Refugees are typically expected to find employment within 90 days—considered an early indicator of future integration—and establish a degree of self-sufficiency within about six months. Trapp and colleagues recently co-authored Placement Optimization in Refugee Resettlement, a working paper being submitted for publication, in which they found that Annie significantly improved refugees’ chances of finding work within three months. The team worked with the non-profit organization HIAS (founded as the Hebrew Immigrant Aid Society), the oldest of the nine agencies, to pilot Annie and plans to demonstrate the program to the eight other US agencies. WPI Data Science PhD student Narges Ahani developed the user interface based on feedback from HIAS resettlement staff. In initial pilot testing, of the 496 refugees HIAS resettled through manual matching in 2017, 159 were able to secure some form of employment within the 90-day window. Using data on those same 496 refugees, the team optimized their placement through Annie and calculated that, conservatively, over 200—or more than 20 percent—would have found a job in the same time frame. Under some scenarios, the refugee employment rate increased by as much as 37 percent. Future challenges for Annie will include taking into account refugees’ own preferences. Trapp and colleagues believe that with this NSF research, the program can be adapted to other humanitarian needs and applications, including adoption services.